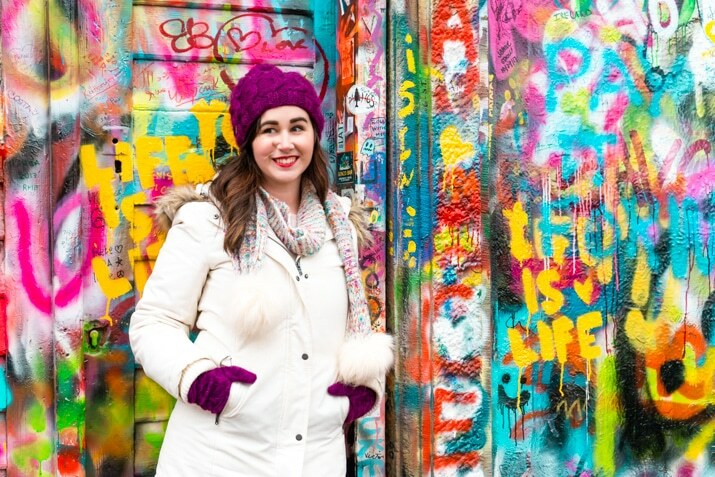 If you’re planning a trip to Prague, make sure the Lennon Wall is at the top of your list of things to do! It’s FREE and one of the coolest things you’ll ever see in your travels! When I was in high school and most of my friends were getting Low with Flo Rida and building the foundation for Taylor Swift’s squad, I was listening to The Beatles. I had a Beatles themed room throughout high school, old vinyl jackets acted as posters on my wall and there was memorabilia everywhere. John Lennon was always my favorite and the Lennon Wall in Prague has been a must-see for me for years. I was fortunate to be able to partner with Mediavine, a leading ad network for food, travel, and lifestyle sites around the globe to bring along a videographer to capture our trip, and I’m so glad that I get to share the magic of this wall with all of you in the video below! I visited the Lennon Wall in Prague, Czechia only a few days before the anniversary of Lennon’s death. And there was something really special about linking arms with strangers and singing Imagine (one of my favorite songs) to the tune of a busker’s guitar strings in front of the Lennon Wall. It’s honestly very magical and one of those moments in my travels that I will forever be thankful for, much like the festival we stumbled upon in Kauai. 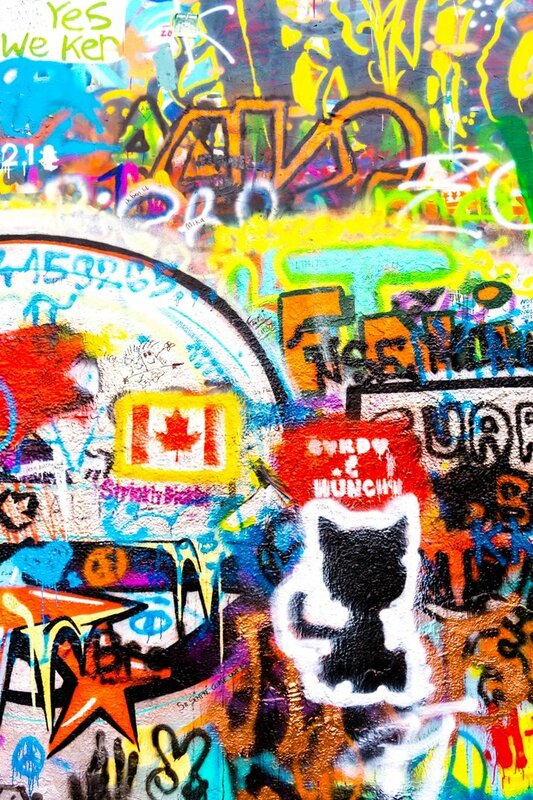 What is the Lennon Wall? 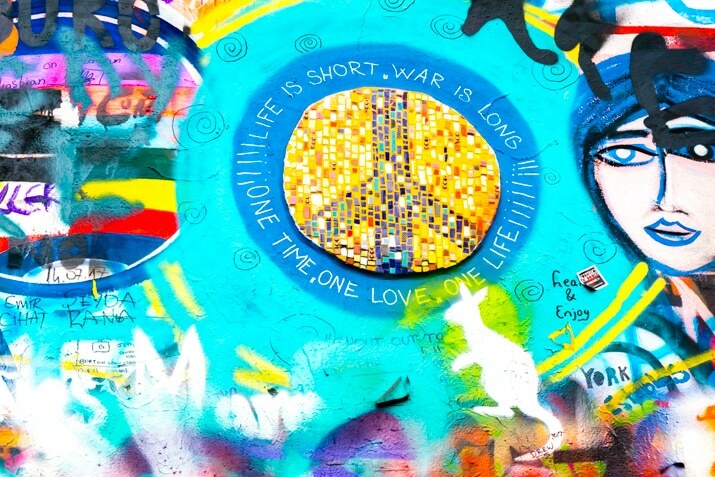 The Lennon Wall is a large mural/memorial in Prague Czechia. It is a symbol of free speech and a tribute to the late John Lennon. 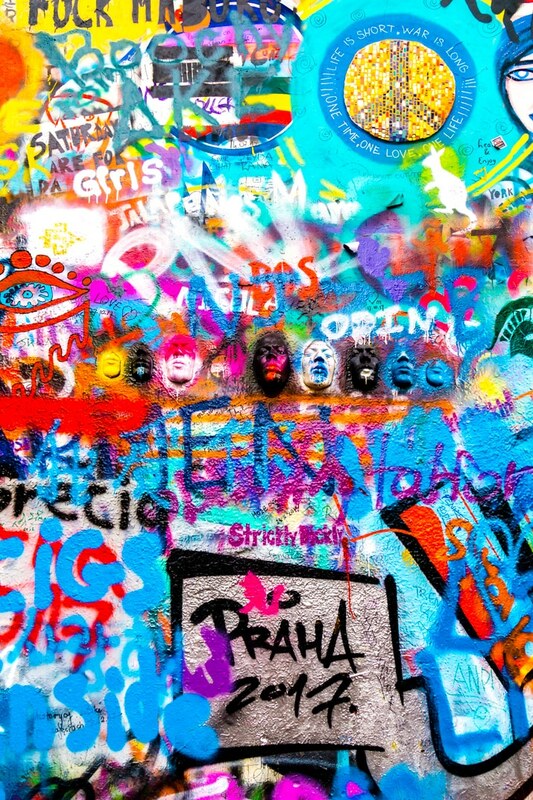 Where is the Lennon Wall? It’s just across the Charles Bridge from Prague’s Old Town. I’ve marked it in blue on my Prague map. John Lennon never visited Prague, but he was a hero to the Pacifist youth of central and eastern Europe during the totalitarian era. At the time, the communist regime banned western music, images, and symbols. Lennon’s music was especially frowned upon because it spoke of and praised a freedom that didn’t exist and magicians were jailed for playing it in public. On the night of John Lennon’s murder, an unknown artist painted a mural of Lennon on a wall in a secluded square in Prague. The artwork was seen as a protest and was covered up by local authorities, but in the nights, months, and years that followed, the wall was covered in messages and artwork that rallied for freedom and peace. 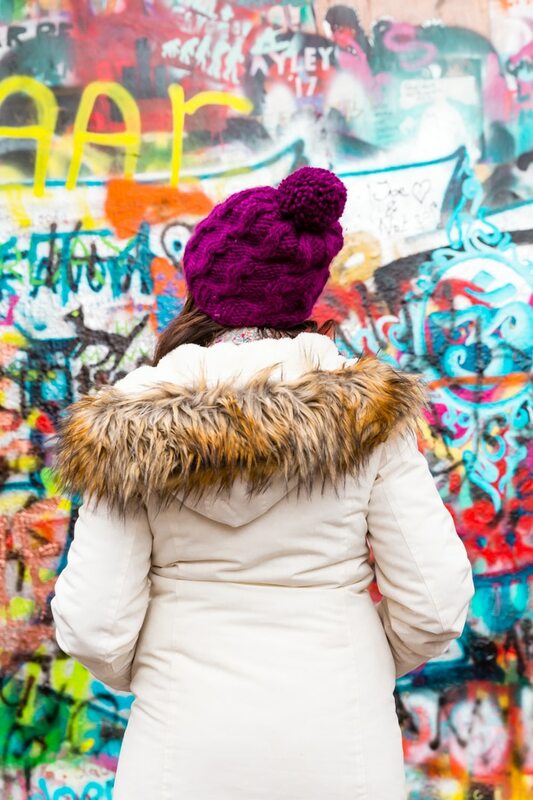 Every time they whitewashed the wall, the graffiti came back. These artists painted the wall at great risk because getting caught meant imprisonment for “subversive activities against the state”, but that threat didn’t stop them from covering the wall with symbols of freedom, love, and peace. 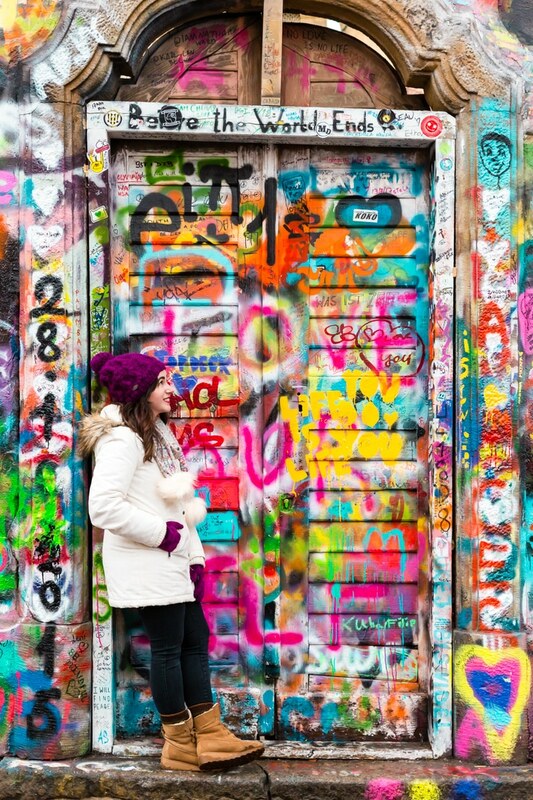 Many call it Prague’s Berlin Wall. The wall spurred a nonviolent rebellion of the youth against the communist regime. Some even say that the Lennon Wall inspired the Velvet Revolution which took place almost a decade later in 1989. This ended the communist reign in Czechoslovakia and eventually led to the Velvet Divorce resulting in the nations dividing into two separate states, Slovakia and the Czech Republic (now Czechia). Once communism ended in Czechoslovakia, the wall more or less evolved into a site for calls of activism all over the world. 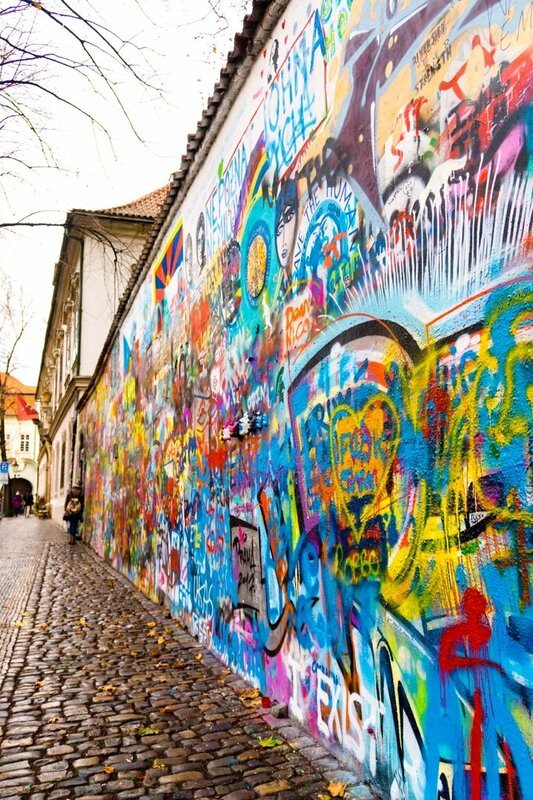 Today, the wall remains a vibrant attraction and symbol in Prague and changes each day as new pieces of art and graffiti are added to it. The wall I saw will be different then the wall you see, and it will impact each person differently. After you’ve visited the wall, stop into the John Lennon Pub for a pint and bite to eat. Some might say that this stop isn’t worth it, but I’d say they’re wrong. Maybe the art of the 80s isn’t there, but there is still work to be done, and this wall is a symbol of hope for the injustices that still exist today. It’s a beautiful place where people come together regardless of race, religion, or nationality to Imagine a better world. Many of us dreamers, can see the beauty in that alone, and I hope one day you’ll join us – or at least visit the Lennon Wall. Pin this Travel Destination for Later!